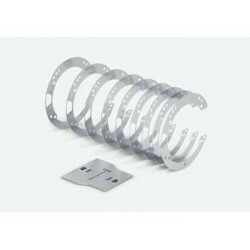 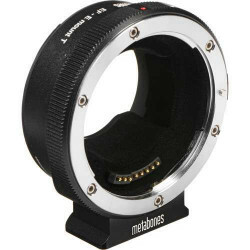 string(85) "MB SPEF-M43-BT5 Metabones lenti Canon EF a Micro 4/3 T CINE Speed Booster ULTRA 0.71x"
Aumenta l'apertura massima di 1 Stop ed integra il nuovo attacco EF Positive Lock. 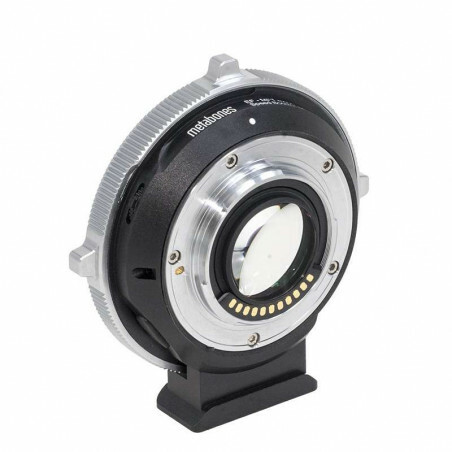 - l'Autofocus e Stabilizzazione IS. 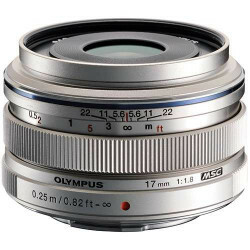 NOTA: Eccezione AF Video su camere Olympus. 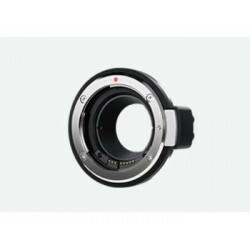 - il controllo dell'Iris con le ottiche Canon (2009+), Tamron (Serie SP post 2013) e Sigma (2016+). 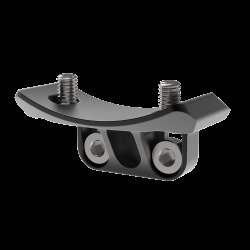 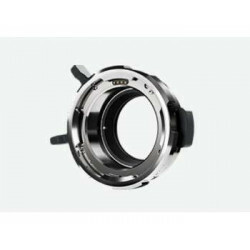 - lo stabilizzatore interno (IBIS) delle camere Panasonic GX7, GX8, GX80 e delle camere Olympus. 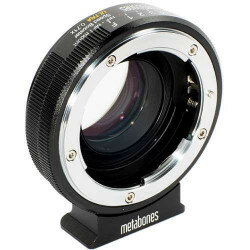 - la lente CN-E 18-80mm T4.4 L incluso AF, Iris e Zoom. 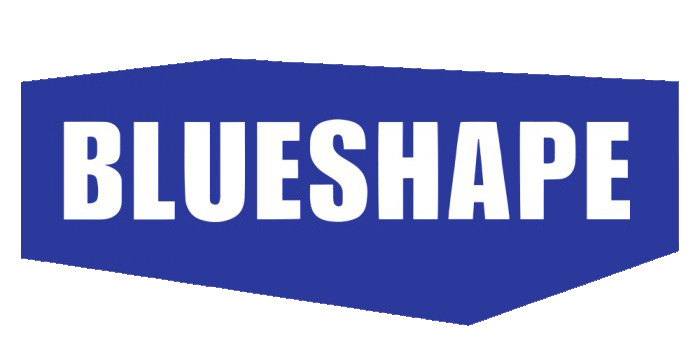 E' richiesta l'alimentazione esterna 5V via Micro-USB. 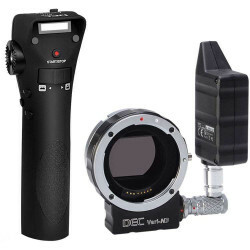 Non consigliato per Blackmagic Cinema Camera, Pocket Cinema Camera e Micro Cinema Camera. 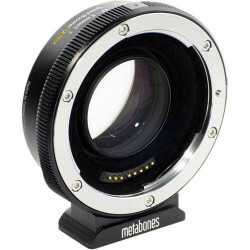 Questo adattatore in abbinata con la GH5 può funzionare solo con ottiche FullFrame. 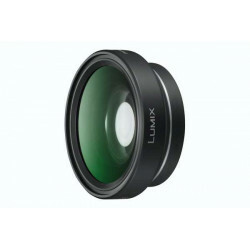 Supports 16:9 video with DX lenses. 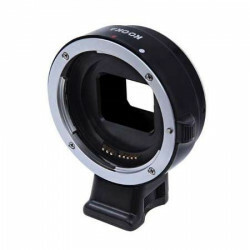 Compatible with all MFT mount cameras, including GH4, OM-D, Blackmagic Cinema Camera, Blackmagic Pocket Cinema Camera and JVC GY-LS300. 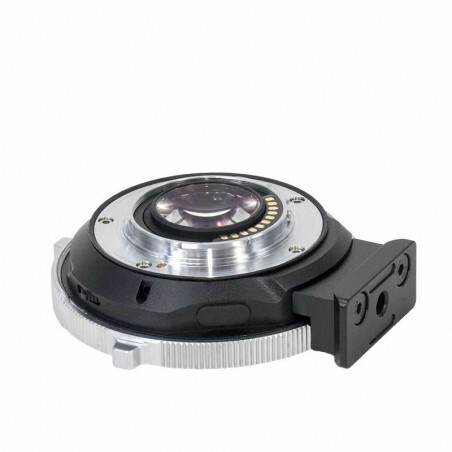 Iris changes are in 1/8 stop steps which may be noticeable in video recordings. 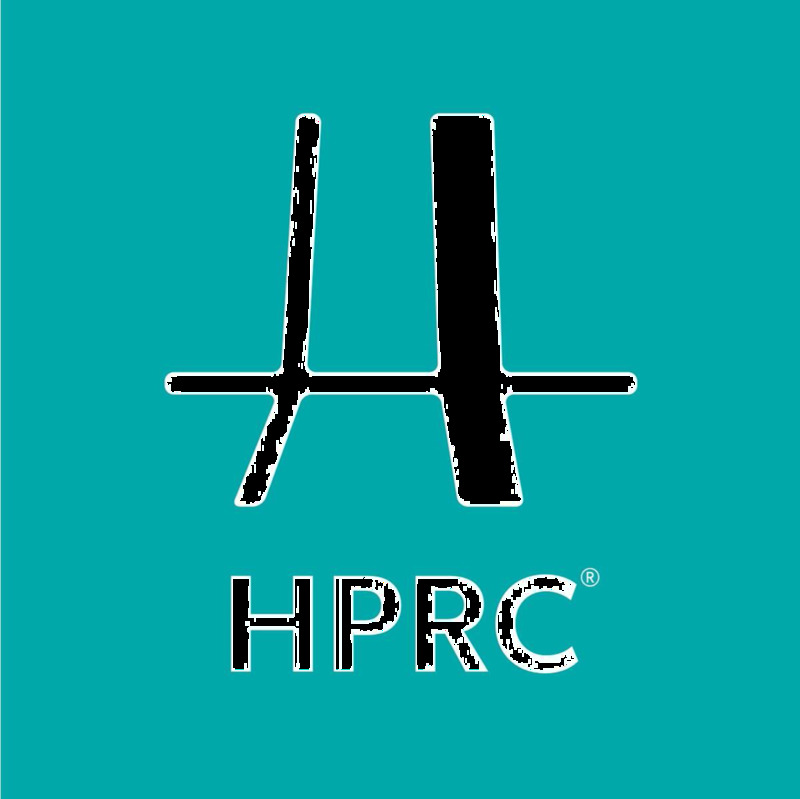 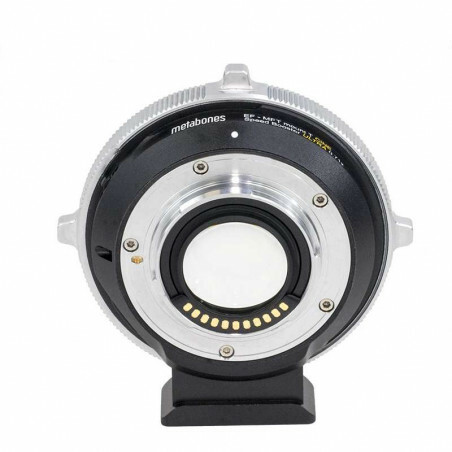 Programmed exposure mode and shutter priority exposure mode should not be used for video. 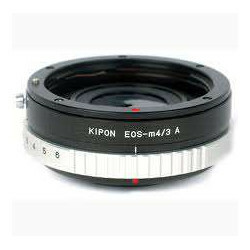 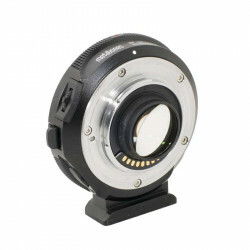 This limitation does not apply to Cinema EOS lenses which permit fine resolution iris control, such as CN-E 18-80mm T4.4 L IS KAS S.
Designed to cover a 24mm image circle, JVC GY-LS300 needs to have VSM configured to 86% (4k) when using a true Super 35 lens such as Canon CN-E 18-80mm T4.4L IS KAS S. Higher VSM settings is possible with full-frame lenses, but will be operating outside of the design parameters of the ULTRA optical formula. 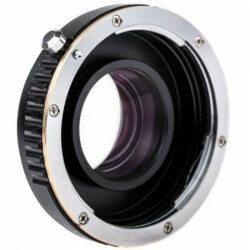 Many APS-C/DX lenses do not have adequate coverage at 86% (4k) and on JVC with ULTRA the use of full-frame or true Super 35 lenses is advised. 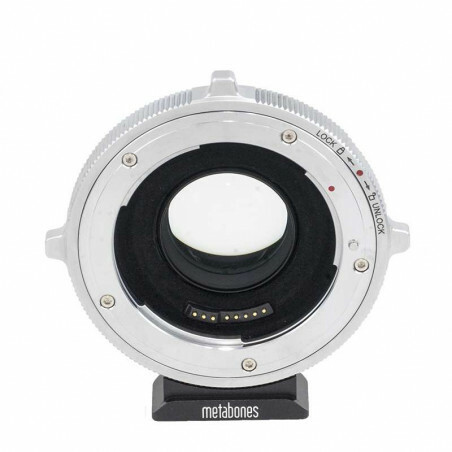 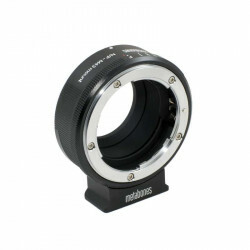 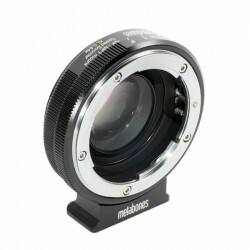 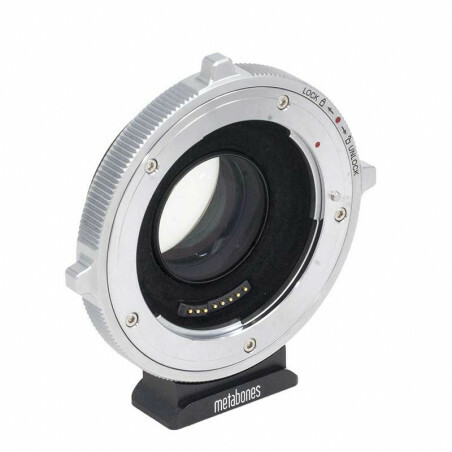 Metabonoes Adattatore Speedbooster ULTRA T CINE di Metabones per camere con attacco micro quattro terzi (m4/3). 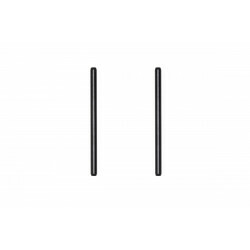 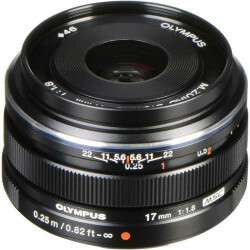 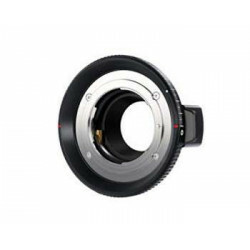 Permette di utilizzare ottiche Canon EF con una conversione della focale di 0,71x. 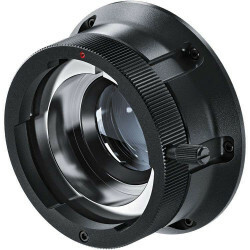 Designed to cover a 24mm image circle, JVC GY-LS300 needs to have VSM configured to 86% (4k) when using a true Super 35 lens such as Canon CN-E 18-80mm T4.4L IS KAS S. Higher VSM settings is possible with full-frame lenses, but will be operating outside of the design parameters of the ULTRA optical formula. 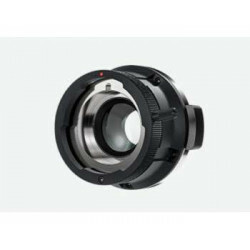 Many APS-C/DX lenses do not have adequate coverage at 86% (4k) and on JVC with ULTRA the use of full-frame or true Super 35 lenses is advised.